With these contradictory, daring, but deeply human questions Ben Jelloun’s novel challenges the reader and forces him to leave behind his own social and cultural background when he tries to make sense of them—and of all human dilemmas, for that matter. What if integrity and honesty cannot offer a decent life ? What if, in a marriage, love is gone and is replaced by greed, remorse and routine ? What if, tired of too much correctness, people decide to break free from themselves? Mourad is a middle aged father of two, married to a woman he does not love anymore. An engineer working in a famous firm full of corrupt people, he is the only one holding to his moral principles. Nevertheless, his refusal to give in to the “attentions” his colleagues receive leaves him with only his salary, barely sufficient to grant his family a decent living. Mourad’s life revolves around his children, Karima and Wassit, and Hlima, his bitter wife only interested in wealth and social status. In his forties and in a moment of crisis, Mourad thinks of leaving his unsatisfying life and of becoming someone else. Tahar Ben Jelloun’s The Broken Man reminds the reader of Kafka’s dark and absurd universe, in which the human soul is caught in a maze of deceit and injustice. Mourad is a modern Josef K., caught in his own life as in a prison from which he is too shy, too lazy or too honest to escape. The escalating rhythm of the narrative leads the reader from the honest family man to the tormented character who breaks all the rules… and risks everything. Set in present day Morocco, Ben Jelloun’s novel criticizes corruption as a way of life, of working, of defining oneself; Mourad’s tragedy is that he is constantly studying different possibilities of staying who he is deeply, of keeping his identity no matter what. To this extent, the novel is actually a long self-questioning confession. Is it, then, possible for a man to become the opposite of what he used to be, just for the sake of change? Is it possible to break free even from one’s identity and try to create another one, in another space and family context? And what are the risks of such an endeavor? Three women, one space between Senegal and France. Three lives, one will to surpass fate and make one’s own choices. 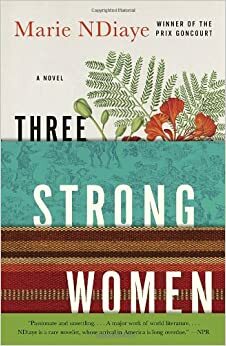 Norah, Fanta and Khady Demba are the three women whose stories are told by Marie Ndiaye: bouncing between West Africa and France; between dictatorial families and husbands and an almost obsessive desire for freedom; between pride and shame. A three-faceted circle of life in which connection and freedom are central. The three stories share one of the emblematic themes of Marie Ndiaye’s work, the way the mirage of Europe affects migrants from West Africa and the consequences of displacement. Norah, a successful lawyer in Paris, is called back to Senegal by a father she knows very little about. Once back in her homecountry, she finds out that her brother has been imprisoned and this triggers changes in her life. Fanta, the protagonist of the second novella, is a much more discrete figure who, interestingly enough, manages to occupy the central part in the story. Far from illustrating a gap between Senegal and France, she manages to bridge the two worlds and creates the most balanced of the feminine images in the collection. And Khady Demba, the widow of a man whom she never managed to give a child, she leaves her in-laws’ house to make her own way in the world. Her destiny mirrors a classical tragedy: caught in a tentacular underground world of clandestine immigrants, forced to become a prostitute, she manages in spite of everything to find love and compassion. Khady Demba relies on self-consciousness, highlighted in the text through mantra-like expression “I am Khady Demba.” This self-consciousness acts as an elixir that enables her to keep her head high in the most horrible situations. The awareness that she only and truly belongs to herself, and that the mere echo of her name pronounced silently has the power to give back her dignity. Marie Ndiaye’s collection draws a curve through the lives of these three women whose strength lies in their search for meaning: be it memories, balance or freedom, the women go from a base world to their own world explosive within themselves. A collection like a circle of destinations, of experiences, of freedom. Freetown, January 1969, an evening party at the university campus. Elias Cole, an academic, sees his colleague’s wife, Saffia and becomes irreversibly attracted to her. Thus begins the most powerful story of his life, full of betrayal, passion and obsession. Freetown, 1999, in a hospital. Cole is now very ill in the care of Adrian Lockheart, a psychologist. In the same hospital Kai, a young surgeon and a survivor of the civil war, suffers from a double wound: the injuries of war and lost love. The three lives are intertwined in distress, violence, political and social instability —the perfect context to portray the fragility of the human condition. Unfolding through three simultaneous voices, timelines and spaces, Aminatta Forna’s second novel gives the reader a fragmented, yet vivid and sometimes cruel image of how war changes lives. However, the fact that the three main characters are either healers or victims of physical injuries (be they victims or doctors), also shows to what point love can be the most vivid and harmful wound. The plot is centered on memories, on relics, on what is left when love is no more, or, more interestingly, what the survivors of love become. The possible answer, common to the three characters, is that writing and story-telling is only way to keep the feeling, and oneself, alive: Elias Cole’s life is the story that we read when he is speaking to Adrian Lockheart who keeps a textbook of psychologic pathologies as a means of preserving and putting order in his life. The Memory of Love is a book about what love injuries, like war injuries, can do to the human soul, and also how stories help us gain perspective and direction in life. In the violent context of war, physical pain and death, love marks can only be healed by words and story-tellers become doctors. Agu is a young boy recruited by a guerilla unit during a civil war in an anonymous West African country. Taken away from his Bible-reading, spiritual mother, now amidst brutal men, Agu is torn between the beastly violence he witnesses and the paternal figure of his commander, in a brutal world where crime is ordinary and humaneness remains rare and precious. Although situated in a long line of child soldier stories, Iweala’s brilliant novel is really a story about how language creates things, images, and worlds. Language is one of the major achievements of this novel. It is through language and dialogue that Agu fights his demons and rediscovers the innocent, “normal” boy he once was. And through Agu’s eyes the reader comes to know the savagery, but also the spectacular beauty of his world. A world haunted by fear, the horrors of war and the absence of humanity, and mirrored by his inside words. Instead of chronicling a coming-of-age or a loss of innocence, Beasts of No Nation is more about exploring what innocence actually is. And in Iweala’s novel, it is synonymous with being able to speak for oneself, to voice out the demons inside oneself. Innocence is letting go and freeing oneself and, for Agu, freedom is speech. So begins Laye’s enchanted tale of growing up in the village of Koroussa, French Guinea. The cradle of the child’s first and dearest memories is this idealized Africa, where the supernatural powers of his crocodile-taming mother and his father’s craft as a goldsmith, are normal parts of the everyday life in this universe. The beautiful, almost unreal village, doubled with a sophisticated, poetic language is a metaphor of Africa itself, a land of long-living traditions and spirituality much praised in the Négritude movement of the 1950s and 1960s that aimed at bringing forth the riches of the African cultural heritage. The boy’s childhood is framed by colorful figures in the village, such as Uncle Lansana, his friend Kouyaté, the beautiful young Marie, and traditional ceremonies heavy with spiritual meaning. However, as in any magical world, the balance provided by traditional stability is threatened when the winds of modernity bring with them Laye’s coming-of-age and the possibility of a new life far away from home. The Dark Child, published in 1953, is one of the earliest African novels, from a second-wave of African writers in the 50’s, whose works surrounded the clash of cultures colonialism wrought. 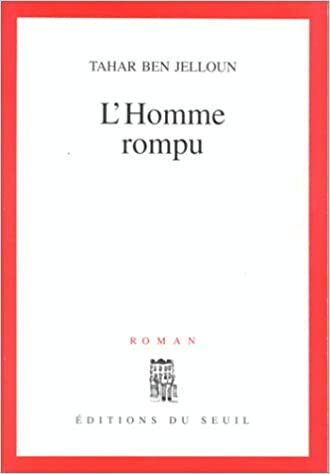 (Later published as The African Child), it is the first novel of Guinean author Camara Laye, and is considered a classical African novel due to the fairy tale-like language and its colorful, illo tempore imagery. 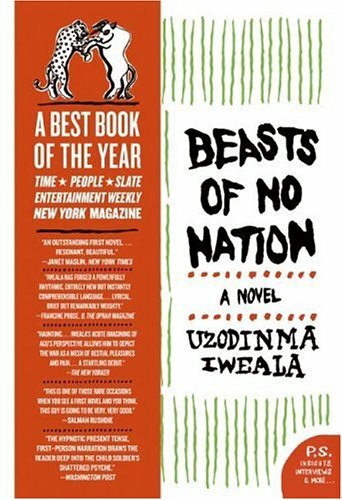 In spite of this idealized vision of Africa, a darker shadow roams over the atmosphere of this novel, bringing with it the responsibility and the compromises of maturity. And these compromises mean going to distant France in search of education and a better life. However, the book does not focus so much on the dream-like world itself and instead focuses more on the representation the child has of it. The world as the reader sees it is mostly a creation of the child’s view, the vision that he himself has of this world. Childhood itself is a magical world, regardless of where one lives. The Dark Child is a modern bildungsroman in which the attraction of distant worlds echoes the author’s need to see as many places and things as possible… if only to have a more complex perspective about his homeland.